Based in a desert climate, conservation is a high priority for VVWD, and this does not stop with water. 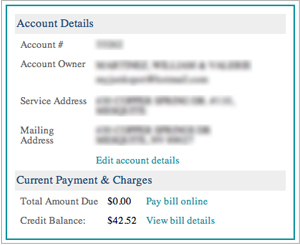 In 2008, they were looking to streamline their processes. 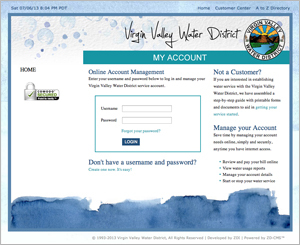 The customers of Virgin Valley Water District (VVWD) were asking for online billpay, however employees were unsure about how this huge change would effect their jobs and current workflow. Zee Designs was able to deliver a solution that blew them both out of the water. Now, with a couple of years of online customer management experience, the employees of VVWD could not imagine returning to the old way of paper bills.